Photo prop ticket booths, outdoor string lights, and all the popcorn and cotton candy you can eat; is there any theme more fun than a carnival? This subject may prove tricky when it comes to dress, but we’ve got you covered, girl. 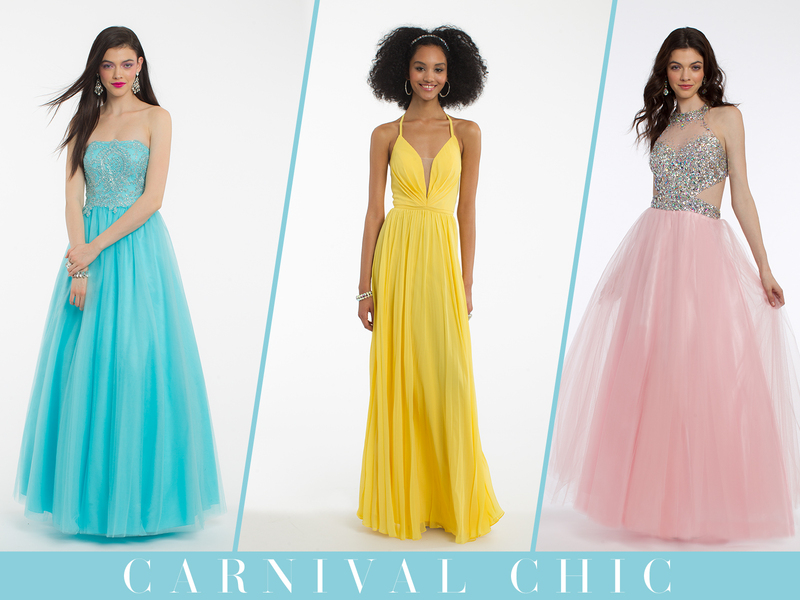 Enhance a Ferris wheel-filled evening with poppy prom dresses like yellow, aqua, and a ball gown in light pink that ::totes:: reminds us of cotton candy. Ooh la la! You may be familiar with our French-themed prom collection this year, but ICYMI, we’ve got tons of inspiration, from learning chic phrases, channeling French girl style, and a special behind the scenes video from our photoshoot! Ready to add some joie de vivre to your prom ensemble? 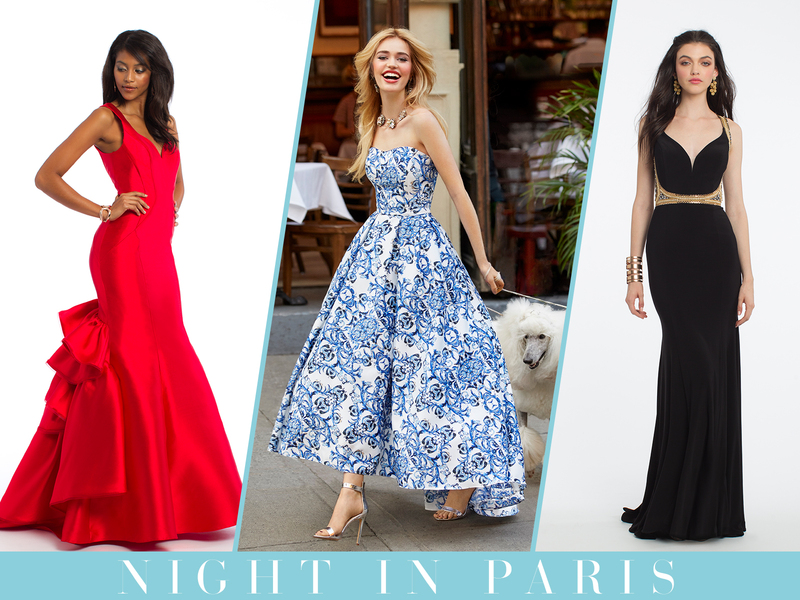 For a Night in Paris theme, think sleek black, romantic red ruffles, or a pretty blue and white pattern over a full skirt. 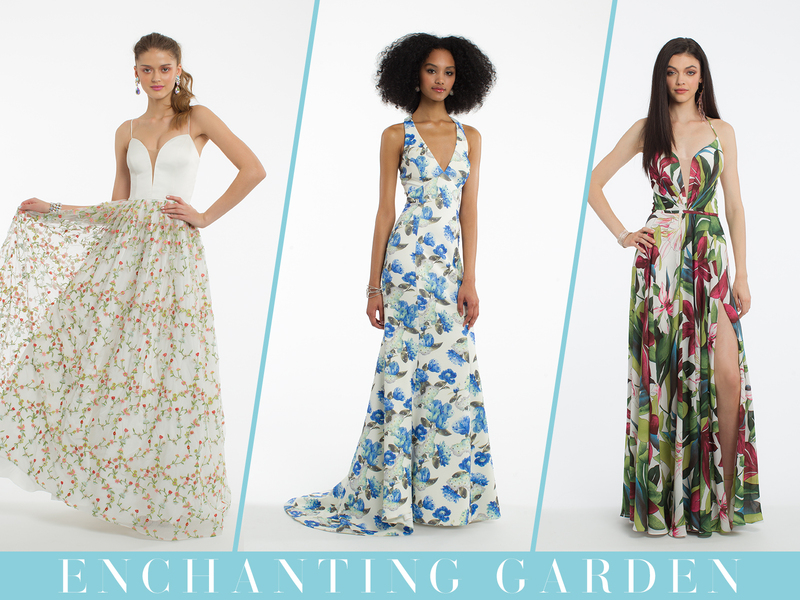 A garden theme is all about bringing the outdoors in…and the perfect way to do that is with a gorgeous floral prom dress! Complement a leafy setting with flower embroidery atop a sheer skirt, a breezy chiffon style with a plunging neckline, or a pretty blue and white gown in a flattering mermaid silhouette. 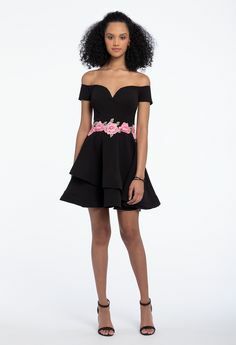 Theme or not, discover more gorgeous prom dresses for your formal night on CLV.com!